Chicago based Lacava resonates the Italian aesthetic from which it’s founder. Italian born Carmine Lacava, has created from collaborating with designers from around the world. Lacava offers a beautiful, minimal collection of faucets which feature single hole, multi hole, and the elegant Waterblade style opening. 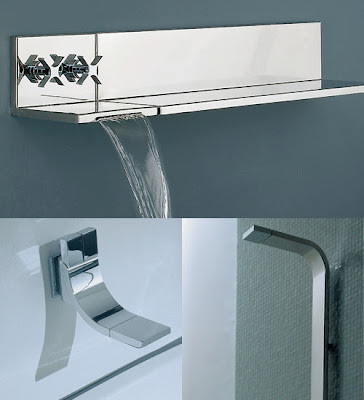 Although maybe not the most water efficient, they will make a serious design statement starting at $1,500.